Benita Staples is the GIS Supervisor of Land Records and Addressing for Mecklenburg County in North Carolina. 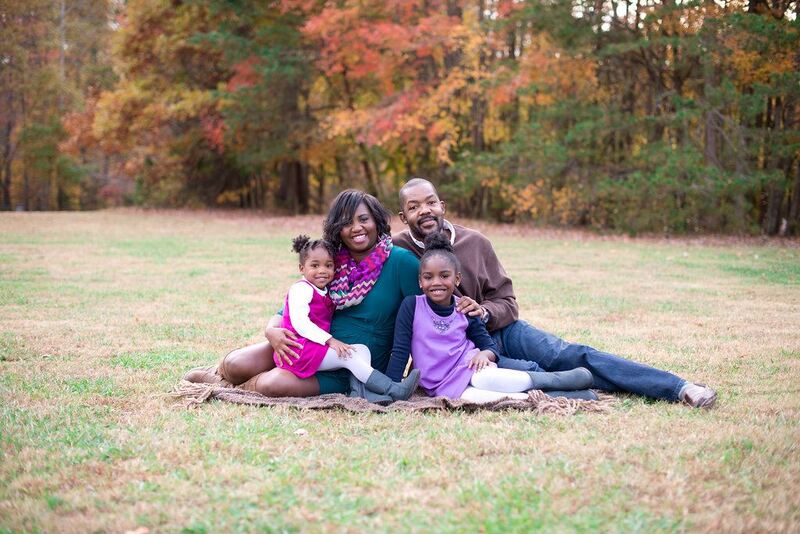 She holds a Bachelor of Science Degree in Environmental Science from North Carolina Central University and a Masters in Geography from the University of North Carolina at Charlotte. Q. When did you first discover GIS and what got your career started? A. I first came across GIS while I was employed as a middle school Earth and Environmental Science teacher. I was looking for ways to bring technology into the classroom and stumbled upon something new that I had a knack for. I then enrolled in a geography graduate program thinking I would gain more skills and knowledge as an educator and realized that this could be a whole new career path for me. Once I got close to completing the Master’s program at UNC Charlotte – I took a chance, didn’t renew my contract after five years as a classroom teacher and took a job as a GIS intern with the City of Salisbury. From there I was promoted to GIS Technician, followed by a GIS analyst position with Mecklenburg County. After ten years in that role, I was promoted to GIS Supervisor of the Land Records and Addressing division here at Mecklenburg County. I’ve been in the position for two years. Q. 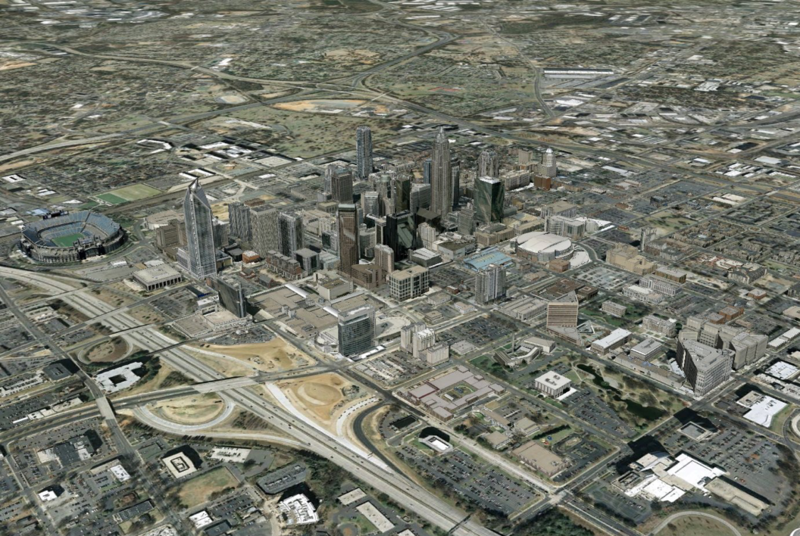 As a GIS Supervisor of Land Records and Addressing for Mecklenburg County in Charlotte, NC what does your job entail? A. My job is to make sure that on our little patch on this green Earth, we always know who owns what and how to get there. I supervise nine GIS Technicians and one GIS Analyst responsible for: research and analysis, processing deeds, working recorded maps and documenting any mapping/ownership changes that occur as property is bought, sold and inherited in Mecklenburg County. Also, under my umbrella is the Addressing Group – with one Program Supervisor and five GIS Technicians whose job it is to assign addresses, maintain the street centerlines and make sure that when a resident of Mecklenburg County dials 911, help (Police/Fire/MEDIC) shows up. As for my day-to-day, I spend most of my days dealing with the niceties that comes with managing people and documenting processes in between meetings with Code Enforcement, emergency management, the tax office, and technology solutions. I like working with the different agencies and constituents of Mecklenburg County to figure out how to provide the best, most accurate data and how it can be used to create a more efficient and solutions oriented local government. Q. What project or projects have you worked on that you are most proud of? A. There are two projects that stand out to me so far in my career. In 2012, The Democratic National Convention came to Charlotte, NC. Up until that point, I was used to working with relatively large datasets and imagery but it was this event that opened my eyes to the power of GIS. The analytics and data processing performed and the undertaking of modeling the downtown area in 3D utilizing oblique and orthophotography was inspiring. I was glad to be a part of the team of GIS Analysts working to prepare the city for such a large-scale event. Most recently, in 2018, I have had the opportunity to be a part of the team working to modernize the workflow and processes of managing ownership and mapping real property changes in Mecklenburg County. We have gone from printing approximately 200 deeds per day and manually entering changes to an almost paperless process that integrates Register of Deeds with GIS and the Tax Assessors office. This has been no small undertaking but it is working and again I am glad to have been a part of this project. Q. What’s your favorite GIS tool or app? Q. As a woman, what challenges did you face in the field of GIS? A. The greatest challenge has been and continues to be getting recognized and being heard. I will admit things have noticeably progressed since 2006 when I first walked into GIS spaces, however, the gender balance still has much room for improvement. I am always watching out for the “Boys club” and I am willing to be the only woman in the room and on the team. I am an extrovert and willing to push and be uncomfortable to get to where I want to be, not all women are like this, nor should they have to be to get in the room and to be a part of the discussion. My goal as I move forward in my career is to create more open and inclusive spaces for everyone to share their ideas. Q. As a writer and contributor for Working Moms Against Guilt and Charlotte Moms what advice can you give to women and working moms starting their careers in the GIS field? A. I would tell any woman and especially working moms that you have made an excellent choice to pursue a career in the GIS field. It is a field full of opportunity, constantly morphing and all you need to succeed is the aptitude, drive and a computer. It is a field that can essentially place you in any work environment that works for you. As a working mother, the big bonus being that you can usually have a bit of flexibility since you can take that aptitude, drive and computer almost anywhere. As I mention previously, while imbalanced, the number of women rising to the top of their areas in GIS is improving. It is a field that crosses genres and supports, well, everything and most organizations. A woman with GIS and GIS-related experience is a woman who is computer savvy with the ability to think spatially and that can never be a bad thing. Q. When not at work, what do you like to do for fun? When I’m not working I like to read – science fiction mostly but a good sci-fi thriller is my favorite. For fun I like to explore new things and new places with my 10-year-old and 7-year-old daughters or binge a good show on Netflix or HBO with my husband of 14 years. A big thank you to Benita for spending time with WiGIS! Interview conducted by Sandra Chakra, Cartographer with Geoprints.